Thank you to everyone who joined us on Wednesday, June 22, 2016 for YPEM’s Summer Social Event at the Frying Pan. Over 100 young professionals from 45 companies joined Expect Miracles Foundation for a beautiful summer event. The panoramic views, warm summer air, and record breaking fundraising made for an exciting evening for all. We are overwhelmed by the enthusiasm and excitement of all attendees to help Expect Miracles Foundation provide funds for a cure – thank you! 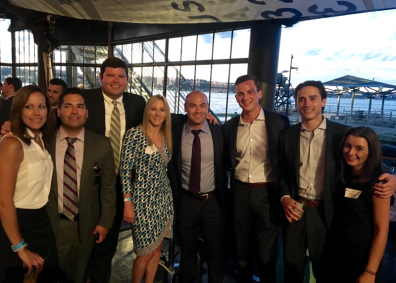 Guests enjoyed after-work drinks and networking while raising money for cancer research at Memorial Sloan Kettering‎ as well as our Expect Miracles Foundation College Scholarship, awarded annually to a young adult impacted by cancer. Everyone who attended the event had the opportunity to win some incredible prizes including a Cutter & Buck leather portfolio, a foursome at the Centennial Golf Club in Carmel, NY, a beer making kit, and more. Congrats to the lucky winners!